Calling all women in Port Stephens age 16 and over! 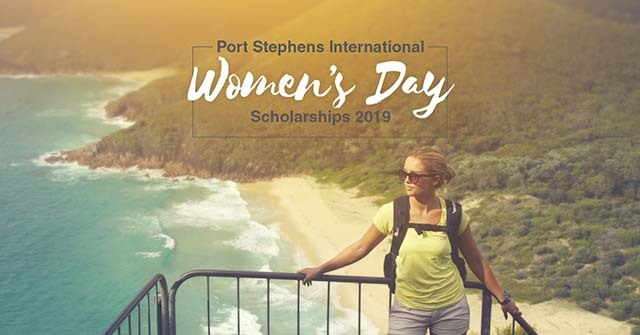 Port Stephens Council's International Women's Day scholarship program is now open, with three $1,000 scholarships up for grabs to help local women achieve their goals. The scholarship program is designed to support local women and the valuable contribution they make to our community across a range of fields - arts, culture, environment, business, community, health and sport. “Last year’s winners - Jackie Djumovic, Allissa Hassett and Skye Swan - are wonderful leaders in our community who are achieving great things. Applications close Monday 25 February 2019, with the winners to be announced at the Rotary Club of Salamander Bay's International Women's Day lunch on Wednesday 6 March 2019. For more information and to apply, visit our International Women's Day Scholarship website page or contact Council’s Community Development & Engagement team on (02) 4988 0255.